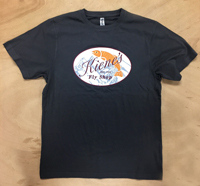 Kiene's Mountain, logo t-shirts are soft and comfy! 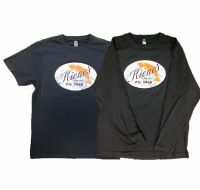 These retro t's are old school and look like they've been through the rough and tumble. Rugged yet comfortable 5.4 oz - 100% cotton. Taped shoulder seams for comfort and durability. Double stitched cover at neck.